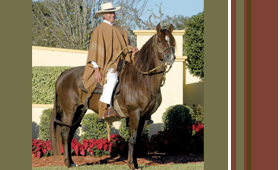 Westview Farms is one of the largest breeders of Champion Peruvian Horses in the U.S.A.
We offer twenty years of matchless experience in top quality show, pleasure and breeding horses of all ages. Westview Farms has two, full-care facilities in New York and Florida. Discriminating breeders have come to rely on Westview for our expertise in breeding, training, consultation, evaluations, stud services and sales! We have an excellent selection of Peruvians for sale and stud. We welcome the opportunity to discuss your needs! Copyright © 2019 Westview Farms, All Rights Reserved.